Here’s the announcement, including table of contents. 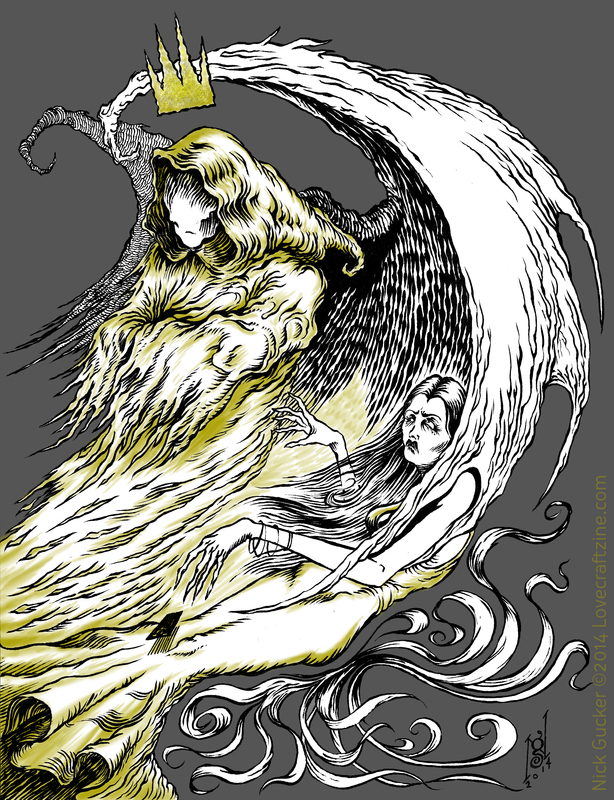 The article also gives a preview of the illustration created by fabulous Nick Gucker for my story. 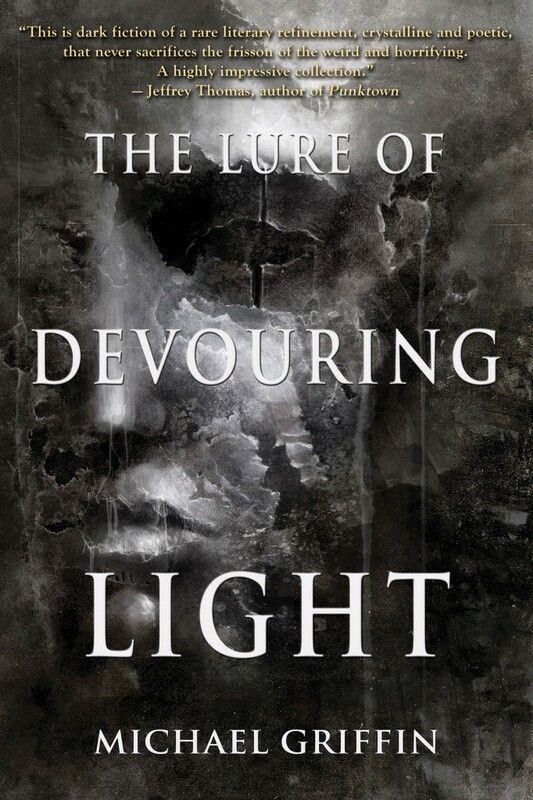 I’ve been lucky enough to be published twice in Lovecraft eZine (or will be later this week, at least) and have had the extra good fortune of having my stories illustrated by Nick. Also very excellent, they’ve just posted the cover for this issue. It’s lovely! I hope you’ll consider taking a look at this issue. 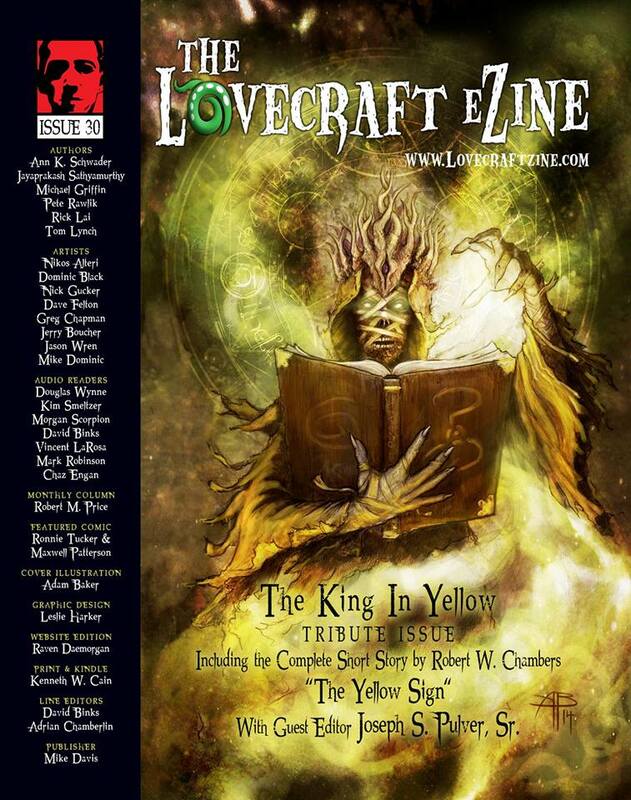 Lovecraft eZine is always worth a read, and deserves your support.